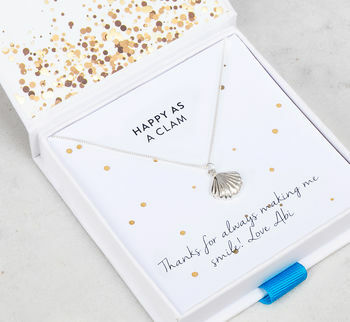 Make them as 'Happy as a Clam' with our adorable shell necklace in a choice of metal finishes. This cute shell necklace is the perfect gift for a loved one who loves the sea and seashells! 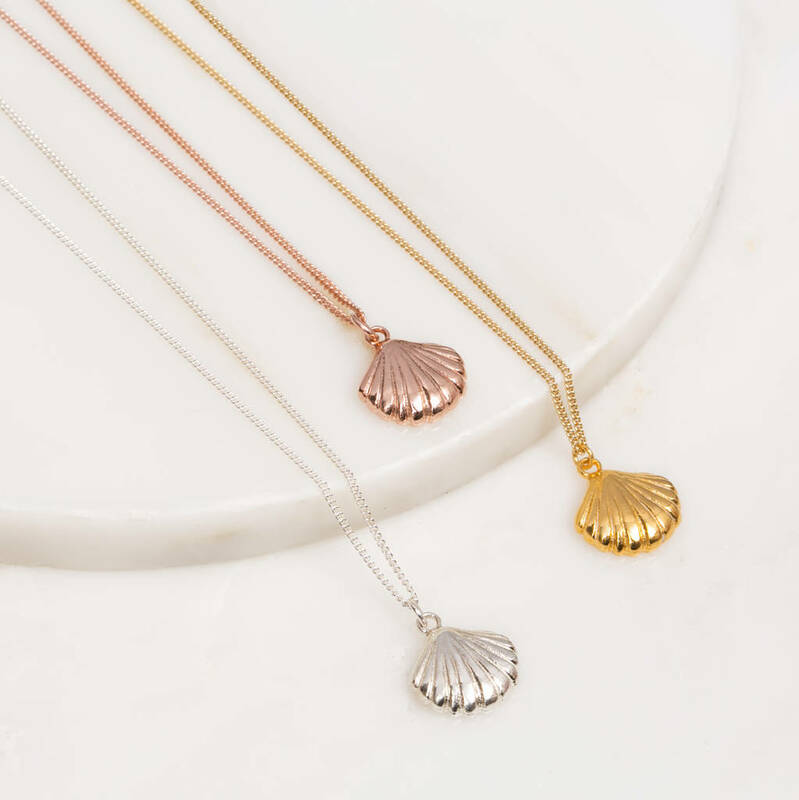 Choose from a choice of finish, from sterling silver to gold or rose gold plated sterling silver. 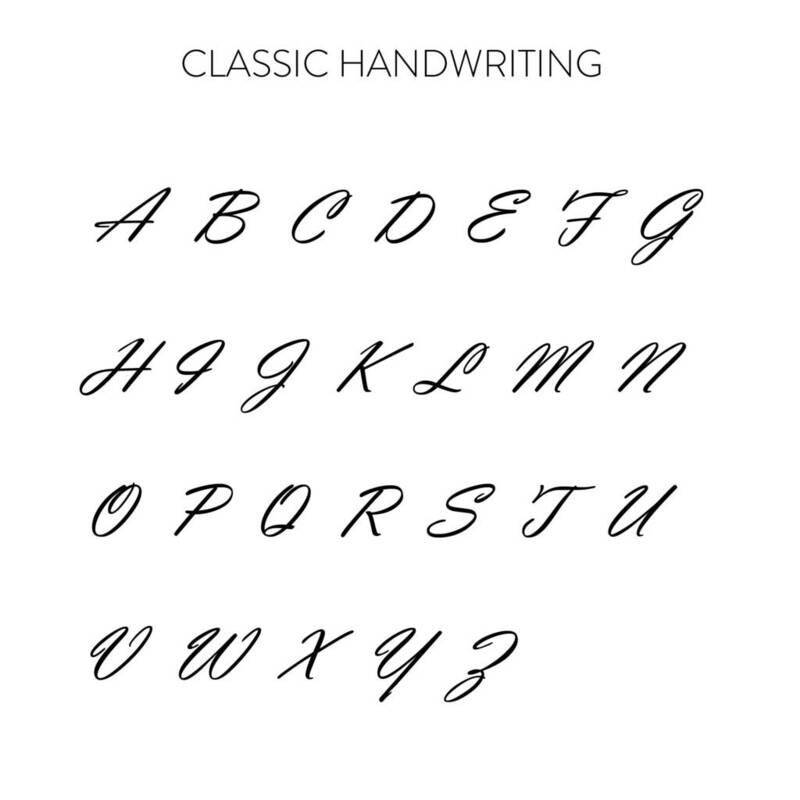 The charm can be engraved on the reverse with an initial in our Classic Handwriting font. 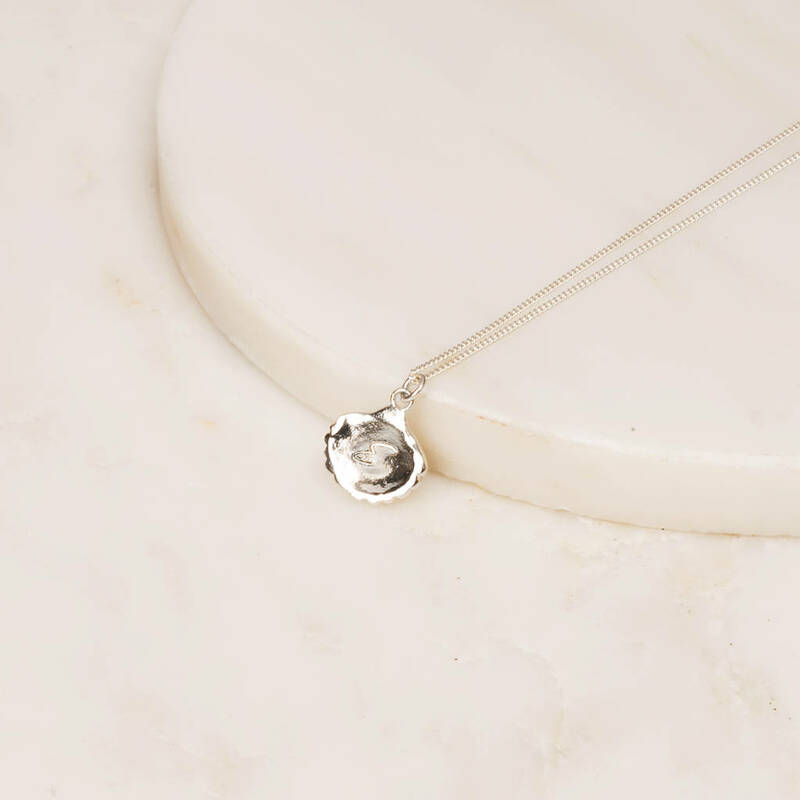 The necklace has a 46cm length chain which sits just below the collarbone. 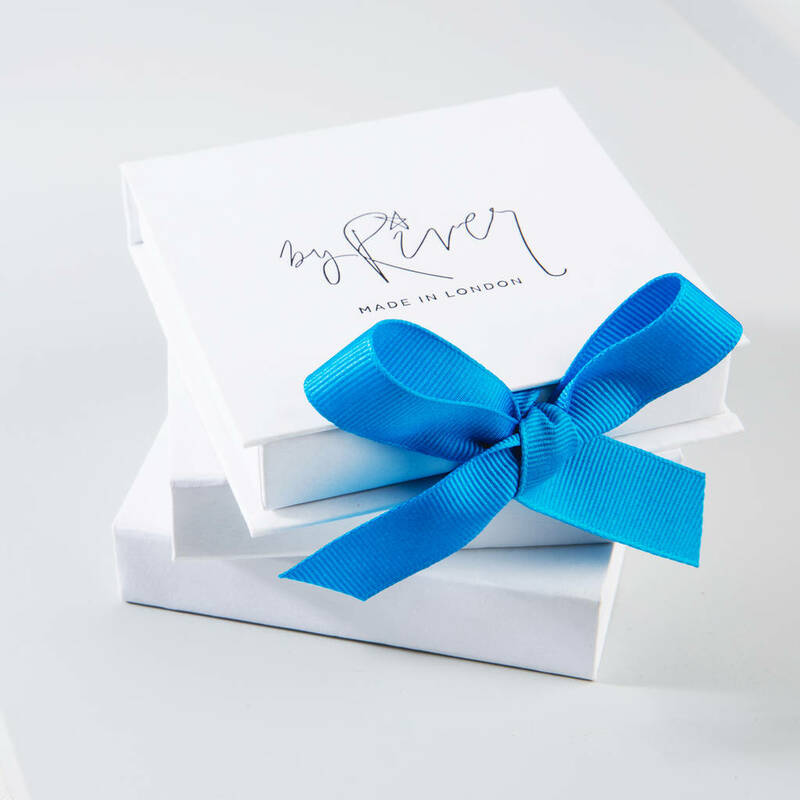 HOW DO I PERSONALISE THE PACKAGING? 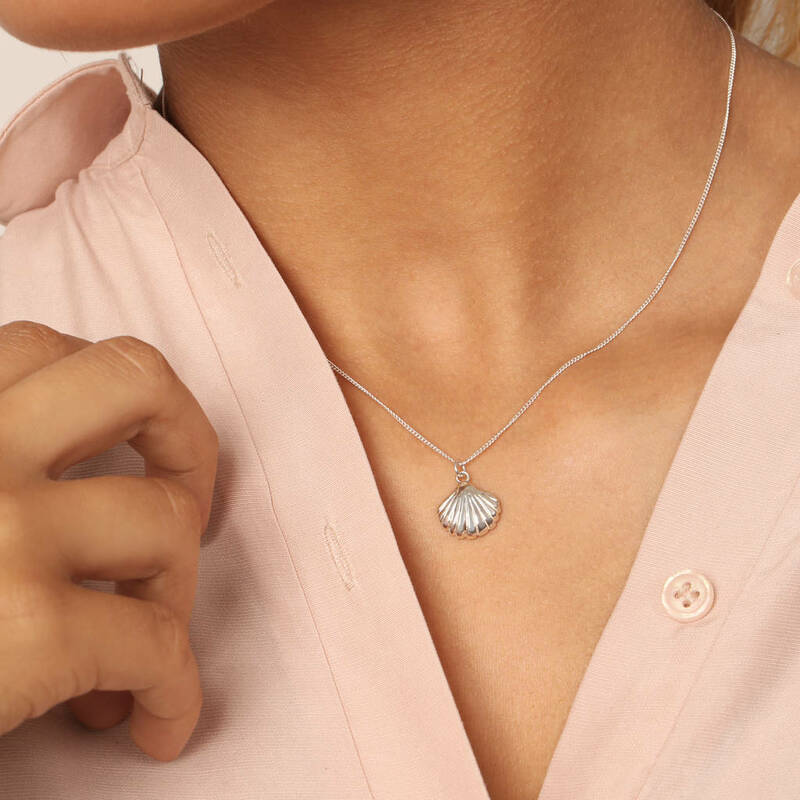 Sterling silver, 22 carat gold plate on sterling silver or rose gold plate on sterling silver.